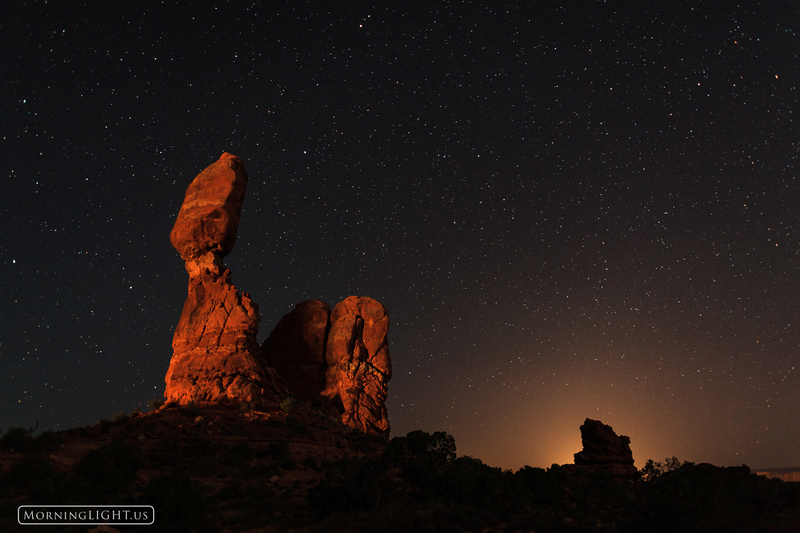 On the first night of my trip I spent a couple of hours at Balanced Rock in Arches National Park. I'm not usually a fan of light pollution but in this case it worked in my favor. The lights of Moab lit the sky behind the rock on the right and the headlights of several vehicles driving down the road lit Balanced Rock for a few seconds to help it stand out against the stars. Photo © copyright by Erik Stensland.